‘What goes around, comes around’ and the contemptuous attitude of the Murdoch empire, at last being partially exposed, is now being focussed back upon it and threatens to tear it down. 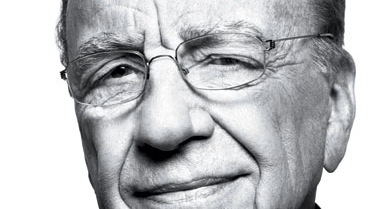 Largely thanks to The Guardian, Rupert ‘Charles Foster Kane’ Murdoch might at last get his comeuppance. What does he lie awake at night and think about these days? Is he surprised that such vitriol is coming his way? He shouldn’t be. After all, he knows what makes the world tick. That’s why he is so rich – certainly not because he is selflessly committed to news. Why should he be surprised that politicians would turn on him after all the times they have fearfully and cynically sucked up to him? Why should a shark such as he be surprised that rival editors and journalists would savage him at the first taint of his blood in the water? Why should he be surprised that law enforcement might come crashing down on him when his hand has been discovered in Inspector Plod’s pocket? Why should he be surprised that those of us who have been offended by the naked right-wing propaganda spewed out by the likes of Fox might enjoy the chance to get up on our high horses and look down on him for a change? He shouldn’t be surprised and he probably isn’t; but is he afraid? Possibly. And he should be. I doubt that he cares much what Australians think, but he must be wondering whether the British punters will turn on him. For years, they have lustily consumed his grubby, gossipy ‘news’ publications with all those oh-so-naughty page 3 pictures and all that oh-so-convenient and reassuringly simplistic tosh about what a patriotic idea smashing Iraq would be. And then there is the other side of the Atlantic… Yes, he might just be a little bit afraid. That might be why he has ratcheted up the contempt and is shrugging innocently about being let down by ‘some trusted people’. ~ by Garry on July 16, 2011.